Display your Texas Longhorns spirit in this Texas Burnt Orange T-Shirt! 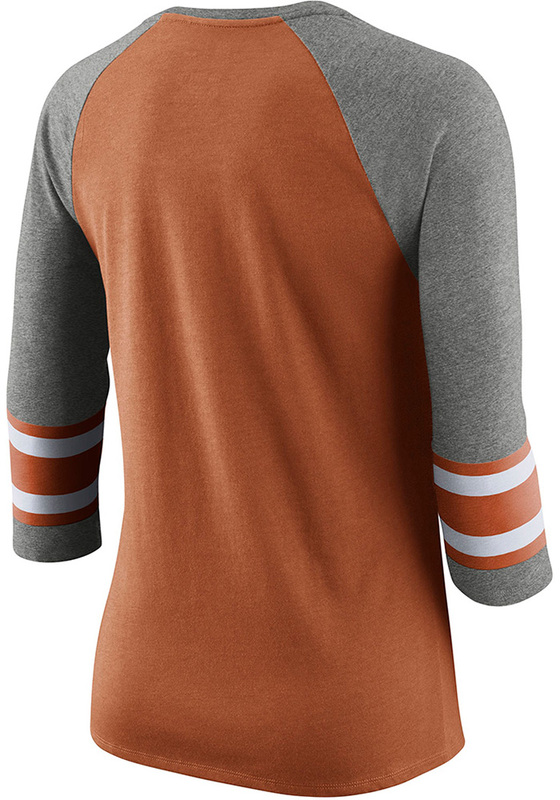 This Texas Stripe 3/4 Raglan Crew Neck Long Sleeve T-Shirt makes a great layer for cooler nights cheering on the Longhorns. 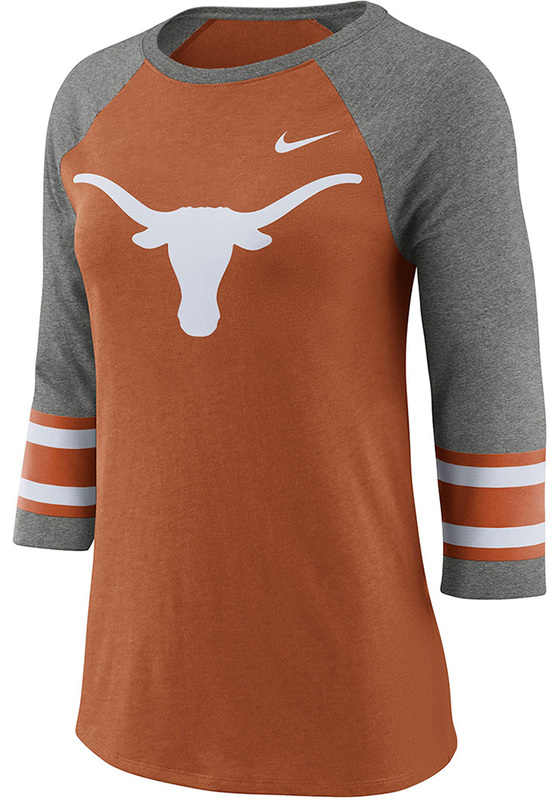 Featuring a screen print team graphic on center chest, this Texas Longhorns Long Sleeve LS Tee is a must-have for any fan. Hook Em Horns!